When life gives you chicken coupons, make chicken! I won $500.00 worth of $5.00 chicken coupons as a runner-up prize in a contest the summer of 2016. 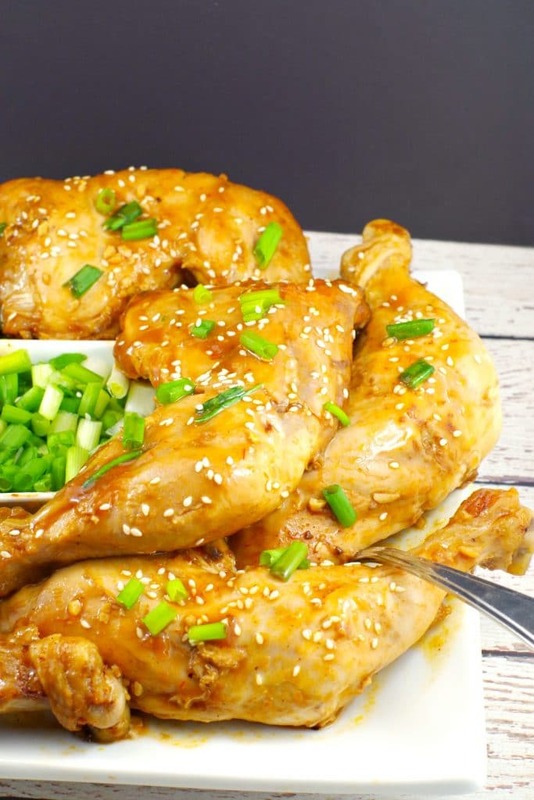 So, I made a lot of chicken recipes, including this Baked Hoisin Chicken Quarter recipe! 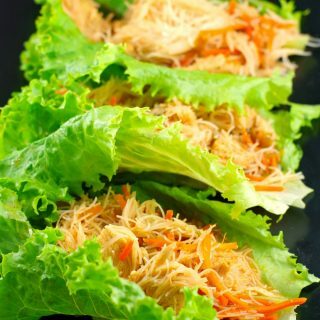 It’s so simple and easy to make and only 5 Weight Watchers Freestyle Smart Points per serving. That was 100 coupons, to be used ONE PER PERSON, ONE AT A TIME, by June of that year (see post: “Winner Winner chicken dinner” to read more about it). What I was really going for was that $10,000.00 kitchen make-over grand prize. Sigh….my time will come…. So until then, I make chicken. 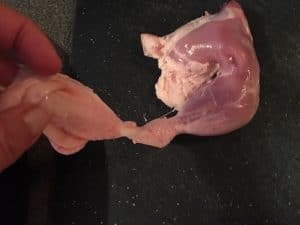 I found this little gem of a recipe for Baked Chicken legs and thighs in a Chatelaine magazine back in 2007 and it’s been one of my easy recipe staples ever since. I like that it’s simple, fast and I just have to stir a few things together then pop it in the oven. Chicken can be high maintenance and I’m usually not in the mood for that level of commitment, especially after working all day and dealing with my own share of high maintenance-type stuff. And that includes just trying to meet my own daily needs. I am not a low maintenance gal! Just listen to me order coffee sometime and you’ll see what I mean. Something has to be simple, so let it be the chicken. As June drew to a close and the kids finished up school, I am happy to report that I got down to my last few chicken coupons! I was also quite impressed that we managed to use up that many coupons, saving ourselves some serious cash on groceries that year. So, with my freezer stocked full of chicken for the last time, I welcomed summer and surprisingly somewhat sadly, bid adieu to our weekend chicken runs. 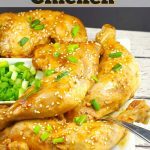 An easy, economical and delicious baked Hoisin chicken dinner using chicken leg quarters (chicken legs with thighs attached), that can whipped up quickly using staples from your pantry. This chicken is 5 Weight Watchers Freestyle Smart points! Preheat oven to 425 degrees F. Generously spray a baking dish with non-stick cooking spray. In a medium bowl, mix hoisin sauce, BBQ sauce, soya sauce, garlic and ginger together. 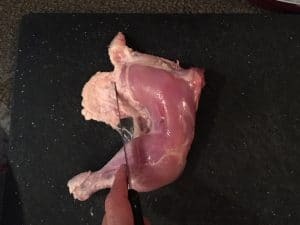 ** If you have skin on your chicken, you need to remove it by pulling it off. This is easy to do, even if you've never done it. You simply pull back on it and tear it off. Place in roaster/pan, the pour sauce over chicken. Bake uncovered in centre of oven for 20 minutes. 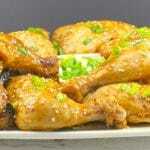 Turn chicken over and spoon pan juices over chicken. Continue baking, occasionally spooning sauce from baking dish over chicken until chicken feels springy when pressed and chicken is cooked through - about 20 minutes. Sprinkle with green onion and sesame seeds and serve. 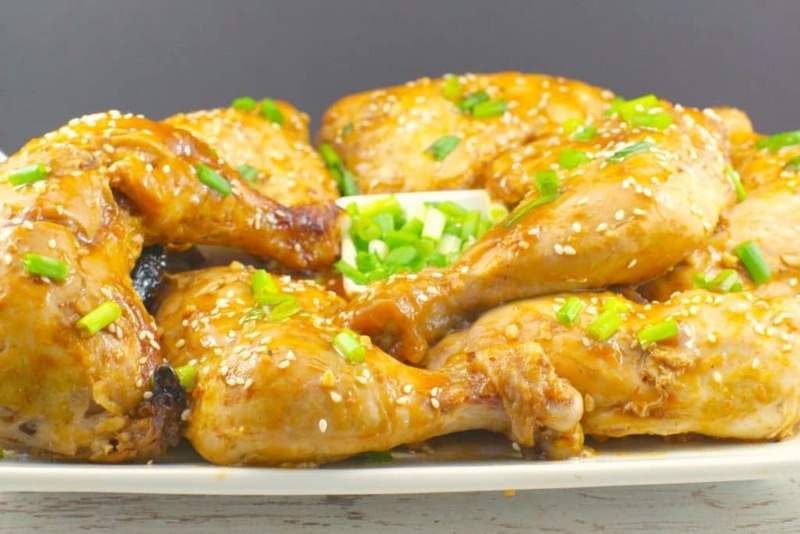 If you like this recipe, try my Hoisin Orange Chicken recipe! 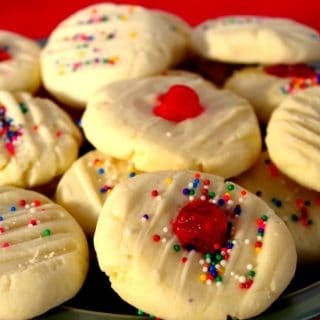 Loving this easy recipe and great photos! 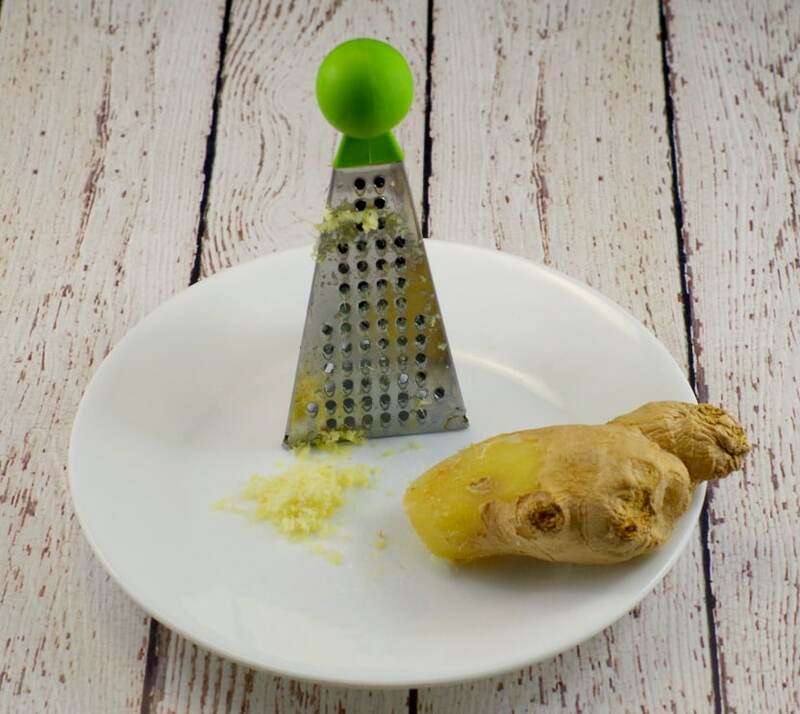 I had stopped buy fresh ginger because it always went to waste. Thanks for the tip! Thanks, Sue! Yes, working on the photography skills! Glad you found a useful nugget. I keep ginger around forever now and it’s so yummy and healthy! Looks really yummy ! I’ve mixed hoisin sauce with ketchup plus ginger and garlic and that’s spectacular. I’ll have to try your version! Looks delicious! Seems super simple but packed with flavor! Yes, it’s very flavorful for so few ingredients! Wow, I like how you are finding some awesome chicken recipes as a result of getting the 100 coupons. 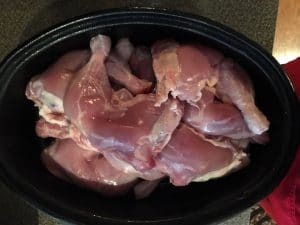 Sometimes I feel like I’m in a rut when it comes to cooking chicken – and I tend to just use the same old recipes. 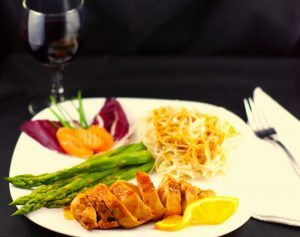 Hoisin Chicken looks wonderful. I may need to give it a try. I agree – a chicken rut is easy to get into! Always on the hunt for new (easy) chicken recipes. Hope you enjoy this one! Well, this was great !! We tried the Hoisin chicken for an easy, but healthy choice for a hot lazy day. 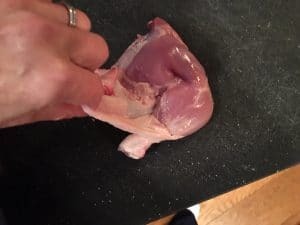 Cutting the chicken into smaller parts cut down on the cooking time, while giving more choices for serving sizes. This was a super easy dinner to put together, easy cooking and wonderful once it hits the taste buds!! Very highly recommend this !!! Glad you guys enjoyed it, Mike! Do you think this would freeze well before baking? I want to prep some easy meals for my daughter who has gone back to work and has a 18 month old to pick up from daycare; dinner can be a daunting task weekdays. Hi Mindy, I have never done that but I don’t see why it wouldn’t work! I usually cook it, then freeze it and heat it in the microwave. That would be even less work for her so that’s what I’d recommend! Made this last night and it was delicious, moist and so flavourful! Will definitely make again and will freeze it as you suggested. Thanks so much for a new recipe to put into my favourites. Thanks for the great tip about keeping ginger in the freezer. I can’t believe I have never thought of that. My ginger often goes bad. No more now that I am going to start keeping it in the freezer.